Best friends and soul mates Emily and Matt have spent their entire existence in Heaven, training to be angels and warriors. As they begin their first lives on earth, their jobs will be to gain information about the human experience for Heaven, and to help certain humans find their way in life. They are given no specifics about whom they are meant to help or what they are meant to do, and must find the right course on their own through the limited human perspective. Rather than being born as new humans, Emily is given the body and memories of Liz, a young woman who died during one of the strange trances she is prone to. Matt takes the body of Daniel, a young man who lived in the same Irish village as Liz and committed suicide to escape the pain of living with his parents and their terrible marriage. 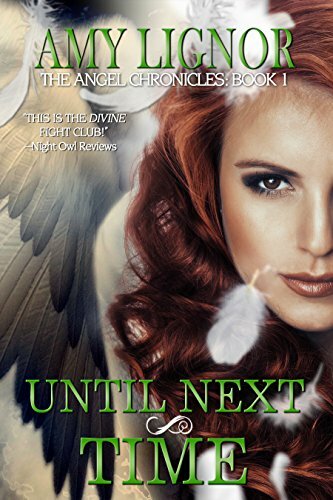 Liz and Daniel had been close friends before they died, and their new angel inhabitants continue to feel emotions from their past lives, as well as the unconscious bond that unites them as soul mates, but Liz does not return Daniel’s passionate love. When Liz and her friend Faith give two travelers, Jason and Charles, shelter from a storm one night, Liz is surprised by the instant and strong attraction she has for Jason. That same night, Daniel kills a man in self-defense, and Liz witnesses it in one of her trances. Fearing that Daniel will be punished for murder, Liz and Daniel burn down her tavern with the body inside to hide the evidence. With no home left to them, Liz and Faith leave with Jason and Charles. During her trances, Liz returns to Heaven as Emily to consult with the archangels and saints about how to overcome the new uncertainties she faces as a human. She often meets Matt on these trips, renewing her bond with him but adding to her confusion back on earth. Liz’s travels with Faith, Jason, and Charles lead them back to Dublin, the hometown of the two men, where they confront the secrets from their past that forced them to leave. It is here that Liz and Daniel realize the purpose they have been sent to fulfill, answering prayers made long ago as they help two families start fresh from the ruins of their past. It is also here that Liz must make the choice between her soul mate in Heaven and the man she has come to love on earth. Until Next Time is a moving story about love and the struggle to do right in an uncertain world, where even angels can feel as lost as we do. Lignor’s writing is unpretentious, like a conversation between good friends, although the dialogue sometimes seems too modern for a story set in the nineteenth century. But the characters are likeable and easy to identify with as they wrestle with universal problems. The angels and saints in Heaven are depicted in a wonderfully light way, playful and fun-loving as well as helpful and compassionate. Human life is presented as an adventure and a learning experience, where mistakes can always be forgiven and redemption is never impossible. Quill says: A lively young adult romance with insights on life, love, and the Heavenly guides that watch over us. Article first published as Book Review: Until Next Time: The Angel Chronicles Book One by Amy Lignor on Blogcritics.